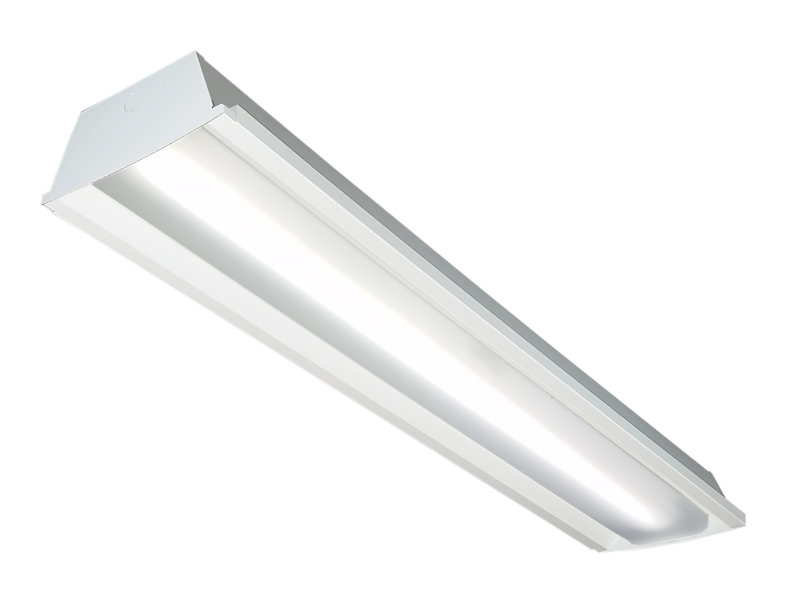 Part of the FormFocus product line, the FFLP provides modern aesthetics and performance in a lensed LED industrial luminaire. The FFLP is available in 4-foot and 8-foot variations, with a wide variety of lumens outputs for maximum flexibility. The frosted acrylic diffuser is optimized to balance efficiency and aesthetics. The housing is constructed of precision brake fromed cold rolled steel, with a matte white finish. All LED board and drivers are field replaceable. Microwave occupancy sensors are optional. A retrofit kit in a similar styling is also available - the FFRP (click here to view the FFRP product page).